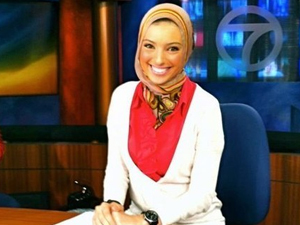 Noor Tagouri is a 20 years old women who graduated from Maryland University with a degree in Journalism. Noor was born and raised in American although she is originally from Libya. Something that makes her stand out is that she wears the Hijjab (a scarf on her head, that usually Muslims wear). Noor’s dream is to be the first hijabi anchor/news reporter on the US television. She is striving and really trying to obtain her goal by having a lot of support from social media and she has a youtube channel in which she reaches out to her followers and sometimes answers some questions they have for her. This is relates to our Global Corporate Citizenship class as we always talk about how business are usually looking to become international and adapting to different cultural norms and being able to make some minor changes in a business in order to succeed in one specific country. Noor, is trying to stop discrimination, as she is portraying that no one should be judged for what they wear, because having different views on things and dressing differently wouldn’t change a persons education level or skills. Her friends that also wear the head scarf warned her before by saying “it’ll always be the headscarf or the job” but Noor thinks otherwise, she states that “my identity is way more important to me than a job”. This article talks about Noor and her background on Journalism and how eager she is to achieve her goal. I think that what Noor is doing is very inspirational especially because she stands out and is different than everyone else in her industry, she is trying to prove a point by saying that no matter what you wear, what you look like it doesn’t matter, what matters is to be determined and focused on what you want to become.